my first tattoo ever. 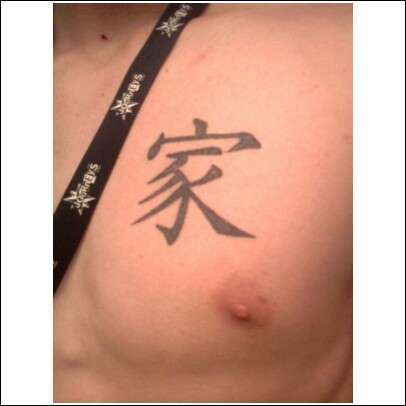 its the Kanji( Japanese/ Chinese) symbol for family and its over my heart. Actually, it's the kanji for "house." You need one more to make "family."